I've never been to Bourbon Street. Or New Orleans. Or Louisiana. I've never had gumbo or crawfish. I've never participated in the parades and you won't see me wearing purple, green or gold today. In honor of Fat Tuesday, I'm sharing one of my favorite recipes. And it really lives up to the name of the day, because it sure ain't healthy! Enjoy! Here they are bubbling away on the stove top. Gorgeous. In a large, deep skillet over medium heat, melt butter. Stir in sugar, rum, vanilla extract and cinnamon. 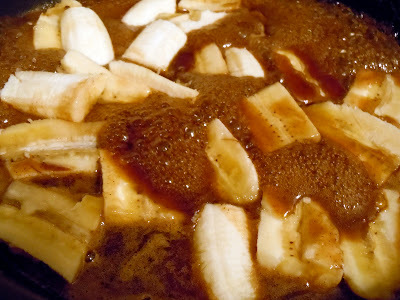 As soon as the mixture begins to bubble, add the banana pieces. 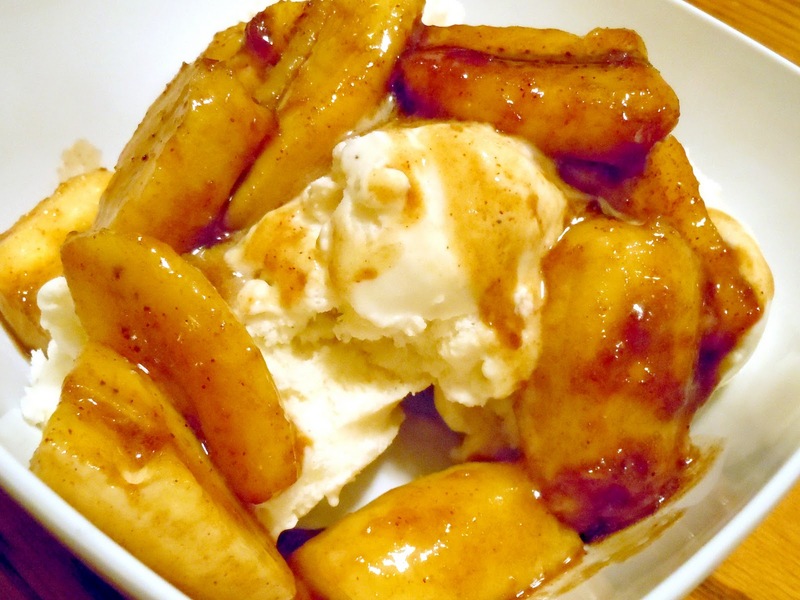 Stir until the bananas are coated and let cook for 1-2 minutes or until heated through. Serve over ice cream. This looks amazing! I had no idea that it was made this way. I can do that! Yummo! You can definitely do it! It's really simple!